EGW's 1911 HD Ball Head Disconnector installs to tighten tolerances in your 1911. The top of the disconnector is taller so that it does not drag on the sear pin. This is important when you are doing trigger work under 2 1/4 lbs. since you can feel the slightest drag. The ball head has been designed to get rid of the click usually found on 1911s caused by the head moving back and forth in the frame hole. The geometry of the disconnector has been altered so that it is not tripped when inserting a loaded magazine. 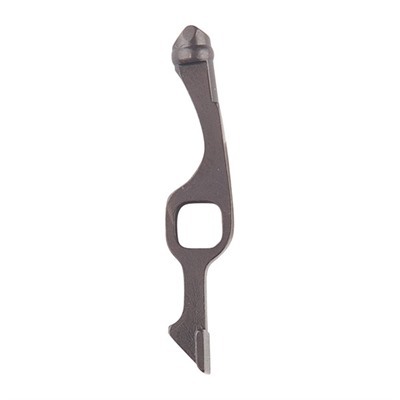 The bottom spade incorporates a small .006 corner radius so that the disconnector does not dig into the trigger bow and it improves functionality. Mfg: Egw Specs: Machined from: American-made 4140 chrome molly steel hardened 48 to 49 Rc.